I was reading this article on NPR the other day about how to get better nutrition by pairing certain foods. Definitely a fascinating concept, especially with my current quest for cleaner eating habits. One of the combinations particularly piqued my interest, possibly because I’m addicted to eggs. But if you combine eggs and greens, you’re in for a treat. Here’s the deal: "adding eggs to salads makes it easier to absorb the carotenoids in the raw vegetables.” They even did a study where one group of people ate plain salad and the other group added eggs. The egg group’s absorption of the good stuff was a whopping 3.8-fold higher on average. We already know all the absolutely incredible nutrition that are in eggs alone. Other great food combinations include black beans + peppers (vitamin C foods), hummus and whole wheat bread, and turmeric + black pepper. Here’s the whole article for more information. Pretty neat, don’t you think? 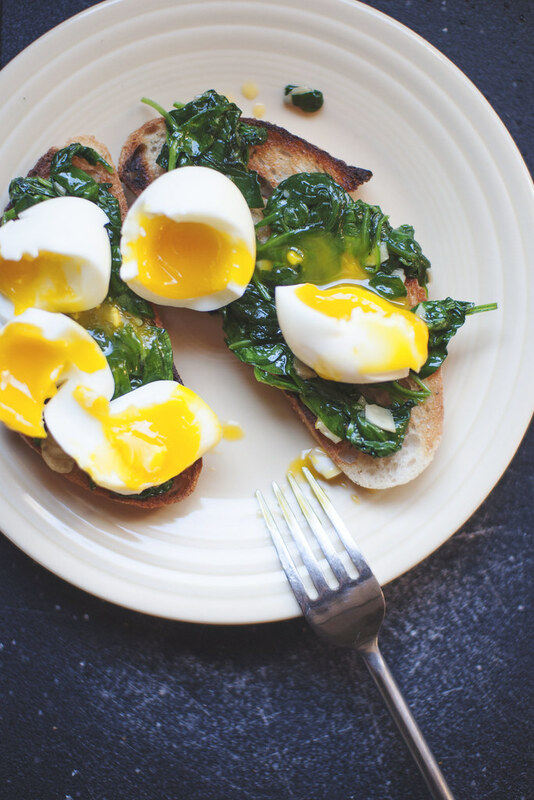 What’s your favorite way to combine eggs + greens?